To provide efficient and professional recruitment solutions tailored to match each client’s specific requirements and needs. To provide individuals with access to career opportunities that will help them achieve their career goals. To be the agency of choice for our client’s recruitment and staffing needs. To develop long-term client relationships founded on integrity, trust, and quality services. Hunter Gibbons is a certified minority-owned staffing firm that started in 2017 and is based in Duluth, Georgia. Co-founders Darius Hunter and Arwen Gibbons have decades of successful experience in fulfilling the staffing needs of industry leaders with exact standards. We focus on placing highly qualified, experienced professionals in technology, finance, accounting, engineering, and executive level management roles. Hunter Gibbons offers Fortune 500 service standards with the personal touch and accessibility that a smaller operation offers. The arsenal of high-tech tools and an expansive professional network entail that although based in Duluth, the firm boasts a global reach. Darius Hunter is one of the co-founders of Hunter Gibbons with an extensive track record of being a successful businessman. He is a well-respected and accomplished business professional with proven success directing and strengthening administrative and business development functions for customer-focused organizations. 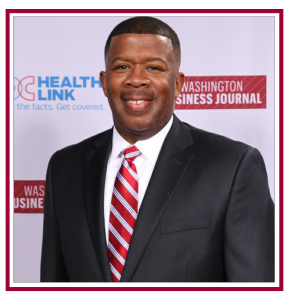 He has over 14 years of recruiting experience, including more than 4 years of being the Division Director at a Fortune 500 company and 8 years as Operations Manager at 1st Class Resources Medical Recruiting Services. Darius was the #1 producer in the Technology Division of the Atlanta Branch of the Fortune 500 company his entire tenure there, as well as the Assistant Vice President/Division Director leading teams consisting of sales/recruiting managers. While working for this company, Darius reached the milestone of being a million-dollar producer, leading his team and division to multiple all-time highs. 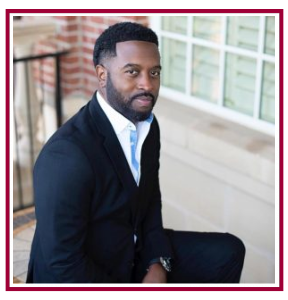 Darius is an Auburn University Alumnus with a Bachelor’s degree in Management Information Systems, and an MBA degree with a concentration in Human Resources from Keller Graduate. His expertise lies in business management and marketing, new business development, securing customer loyalty, growing strong sales teams, and forging relationships with business partners. Darius is equally adept at driving the growth of company revenues, strengthening sales organizations performance in fast-paced environments and has excellent interpersonal skills with the ability to work well with clients and candidates at all levels. His strong business background and outgoing personality allows him to work well with C-level Executives, Directors, and Managers to help them build a solid team, allowing them to be successful and reach their goals. Whether someone is a candidate looking for a new position or a company looking to hire top notch professionals on a Full-time or Temporary basis, Darius has the knowledge and ability to assist. Arwen Gibbons has over 19 years of recruiting experience. 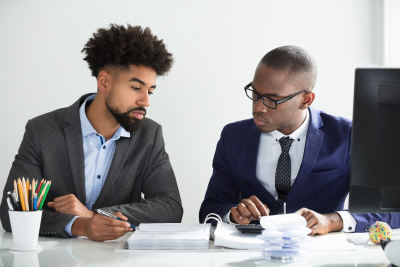 Most recently, he held the role of Associate Vice President/Division Director for a publicly traded Fortune 500 staffing firm in the Washington DC area. In that position, Arwen surpassed the $1 Million milestone within 3 years and surpassed $2 Million within 6 years. Arwen worked on a team of up to 15 and supervised up to 8 individuals. He also served as a mentor, managed performers, led a successful team and completed regular performance appraisals. Arwen is an experienced trainer and has led a number of sessions including new-hire training for the region and new manager training. In addition to his performance accolades, he has also been a guest speaker at numerous events reaching a wide variety of audiences from high school and college students, as well as for working professionals. Arwen is an expert in his field with both agency and corporate experience. On the Agency side of recruiting, Arwen specialized in Technology, Accounting, and Finance. As an In-House Corporate Recruiter, he was a successful recruiter for UnitedHealth Group (Fortune 6, $157 Billion Healthcare Organization: NYSE: UNH). Moreover, from conception, Arwen worked and managed a privately held boutique firm specializing in Technology, Accounting, and Finance. Arwen’s experience in total has provided him with employee management, account management, and client/employee relations experience, which allows him to relate at all levels of the hiring process. If you require any further information, feel free to contact us at 678-915-2363 or info@huntergibbons.com.